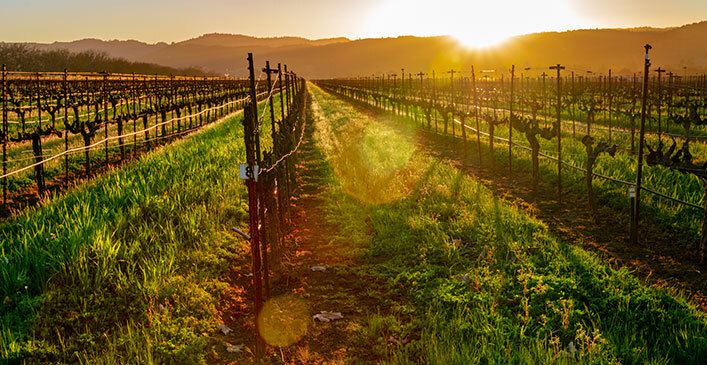 Rated as one of the best wine countries in North America, Napa Valley surely will not disappoint. With over 400 wineries to choose from, there is something for everyone. Whether it be a self-guided or a group tour, you can customize tastings to your liking. With world class chefs working closely with wineries, the culinary world of Napa is just as enticing as the wine itself. With many lodgings to choose from in the Napa region, you can choose a cozy retreat or something grander with one of the many hotels in the area. The spas are also well known for their luxurious treatments; a must-try is The Spa Terra at The Meritage Resort. It is the first spa in the world to be completely underground, featuring waterfalls, steam grottos, soaking pools, as well as wine-influenced spa treatments. They are famous for their Solo Vino treatment, featuring a grape seed scrub followed by a body wrap and wine cave mud mask accompanied by a lavish wine and cheese platter. Nothing could be more romantic with your lover than to be engulfed in a wine cave underground indulging in the best spa treatment around.